Those of us privileged to live in Israel should give thanks to the Almighty and appreciate the extraordinary achievements of the past year and pray that this momentum is maintained in the coming year. Of course, we continue to face threats from the Iranians and Hezbollah and a genuine peace with the Palestinians remains as remote as ever. And there is the rapid escalation of anti-Semitism throughout the Diaspora in which Islamists, extreme leftists and traditional fascists have combined to create the most poisonous concoction. 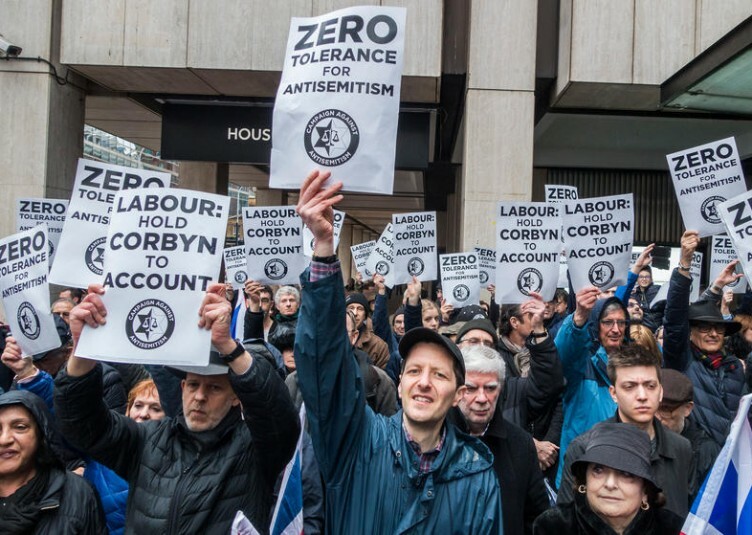 Most of “enlightened” Europe has reverted to the Jew-hating days of the 1930s and the British are now poised to elect a shameless anti-Semite as their prime minister. We also live in a region that is witnessing the barbarism of the Dark Ages. Over the past five years, millions have been displaced and hundreds of thousands killed by bombing, chemical warfare and beheadings. Yet the United Nations and the Europeans concentrate their venom on Israelis defending themselves. But the Jewish people in the land of Israel are blessed to be living in an age of miracles, having risen like a phoenix from the ashes of the Shoah, the greatest tragedy in Jewish history. A Shoa survivor could never have dreamed that the Jewish people, in the short space of 70 years, would become resurrected as a nation – signaling the end of a 2000-year harrowing exile in which we were discriminated, persecuted and butchered. In 1948, 650,000 Jews, augmented by survivors, with an underequipped and vastly outnumbered army, defeated the combined forces of the Arab world in the War of Independence. Subsequent wars in 1967 and 1973 demonstrated that we are here to stay. The prophecy of kibbutz galuyot – the ingathering of the exiles – was realised as Jews from all corners of the world returned to their ancient homeland. These included Jews from Arab countries and over a million from the former Soviet Union. We even brought back Jews from Ethiopia who had lost contact with fellow Jews for centuries. These immigrants from different cultures and of disparate standards of living have found haven from persecution, and 70 years later they have been integrated and become proud Israelis. But this achievement was significantly augmented. Israel in 1948 was a poverty-stricken backwater but has become transformed into one of the most successful economies in the world. The unemployment rate has hit 40-year record lows and Israel is recognized as one of the greatest high-tech achievers with more startups per capita than any other country in the world. As a further boost to its economy, Israel has achieved incredible success in its desalination program, which provides 80% of our needs. Israel also discovered significant gas reserves and has become an energy exporter. 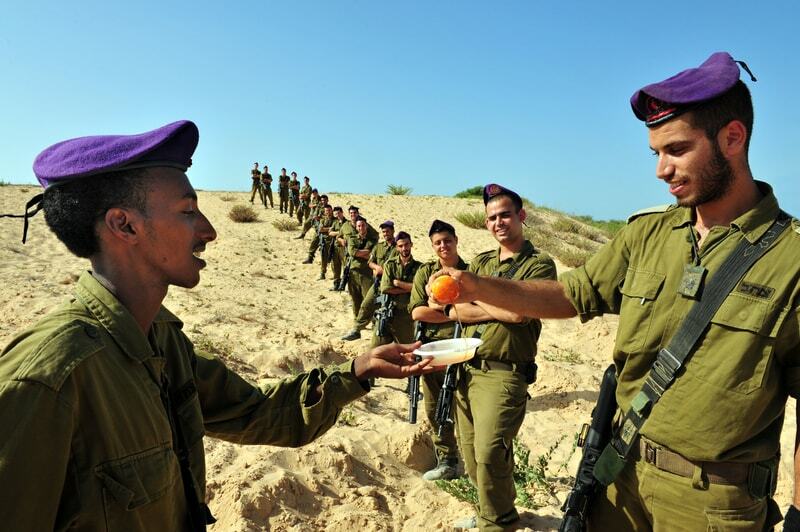 One of our most extraordinary achievements is the development of the Israel Defense Forces. Diaspora Jews were rarely considered warriors and yet, unbelievably, Israel, a tiny dot on the globe, is today recognized as having one of the 10 most powerful militaries in the world. 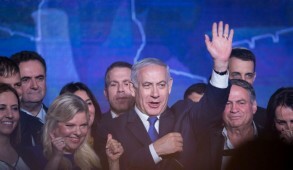 Meanwhile, Prime Minister Benjamin Netanyahu has had another successful year which included deepening relations with India, China, Japan and nations in Africa, Latin America and Southeast Asia – most of whom had previously shunned Israel. Even more incredible was his development of a close relationship and liaison with Russia’s President Vladimir Putin, a former KGB agent. After his second election, Putin chose Israel as the first country to visit, sent greetings to his former countrymen and even visited the Western Wall. Moreover, when Putin and Trump last met they issued an unprecedented joint statement pledging to support Israel’s security interests. Having spent a large portion of my public life negotiating the plight of Russian Jews with Soviet leaders who reeked of vicious anti-Semitism, I can testify that this is mind-boggling and truly miraculous. Also remarkable is the largely clandestine relationship and sharing of intelligence with hitherto bitterly hostile Arab countries such as Saudi Arabia and the Arab Gulf states – not to mention our cooperation with our former adversary, the Egyptians, against Islamic fundamentalists in Sinai. Unexpected good fortune came from Donald Trump’s 2016 election to the U.S. presidency. 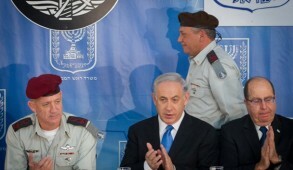 Unlike his predecessors, he has so far upheld his electoral pledges regarding Israel. A major indication of the change in U.S. policy was Trump’s dramatic move of the U.S. Embassy to Jerusalem, implicitly recognizing it as Israel’s capital. His U.N. ambassador, Nikki Haley, has been outstanding in her position and was the first to call a spade a spade and excoriate the double standards that the U.N. was imposing on Israel. Despite fierce opposition from other nations – especially the Western Europeans – Trump demanded that the Iranians amend the appalling deal they had consummated with former U.S. President Barack Obama and warned them to cease their terrorist activities. When they failed to respond, he imposed tough sanctions, which had a massive negative impact on their economy. 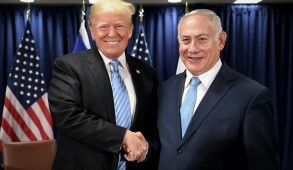 Trump made it clear that he would not sit on the fence like his predecessors if the Palestinians continued in their duplicity and refused to engage in negotiations for a peace settlement. He was the first American president to bring an end to the fiction of “moral equivalence” and confront the Palestinians, demanding that they cease their terrorist activities and insisting that they stop awarding millions of dollars annually to killers and their families. He vigorously supported Israel’s right to self-defense and dismissed the mantra that settlements are the source of the conflict. In fact, only last week the U.S. administration not only reduced funding to the Palestinian Authority but announced a cessation of all funding to the corrupt and anti-Israeli UNRWA – “this irredeemably flawed operation” which perpetuates the conflict by ensuring that an ever-growing number of Palestinians remain refugees. Until now, the U.S. contributed one-third of the entire budget. 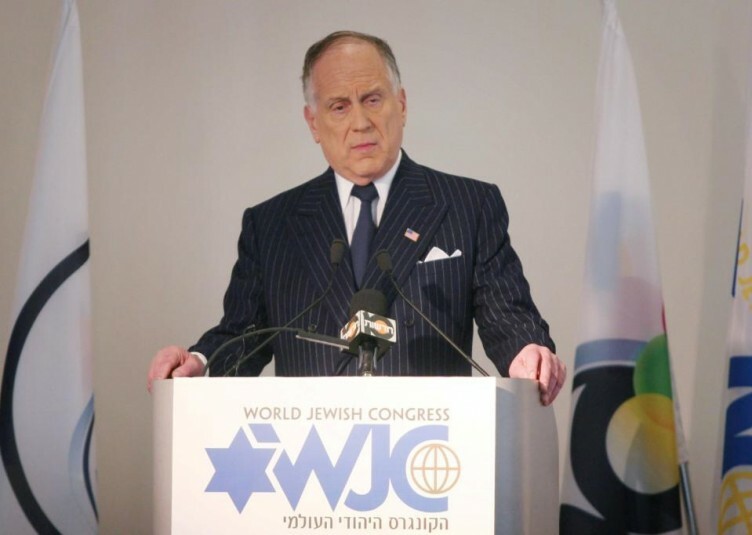 It announced that any future aid would go directly to those in need and endeavor to integrate the recipients into society rather than using them as a vehicle to maintain and foment hatred against Israelis. The U.S. also repudiated the demand that the descendants of the Palestinians who fled or were displaced – now allegedly 5.3 million – be entitled to return to Israel. There have been unconfirmed reports that the administration plans to redefine who today is considered a Palestinian refugee in such a way that only about 500,000 people would qualify. A Palestinian right of return has been one of the central demands by the Arabs although no Israeli government could contemplate such a move, which would amount to the demographic destruction of the Jewish state. We therefore have every reason to feel jubilant in that our just stand is finally officially recognized by the most powerful country in the world, which proudly considers itself as our ally. 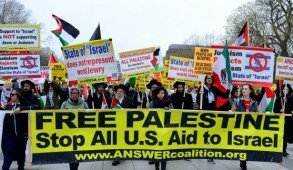 Paradoxically, all this occurred while a substantial proportion of American Jewish liberals, including many youth who are deprived of even elementary Jewish knowledge, have turned against Israel. Some even defended terrorist organizations that were inciting and engaging in the murder of Israelis. Yet simultaneously, we witnessed another amazing phenomenon. Evangelicals, the fastest growing Christian denomination in the U.S., promoted support for Israel to one of their principal objectives. Today they are the largest pro-Israel lobbying group, surpassing American Jews in influence and numbers. We can take pride that, despite the multitude of slanders directed against us, Israel remains a vibrant democracy, an oasis in a region dominated by tyrants and murderers. 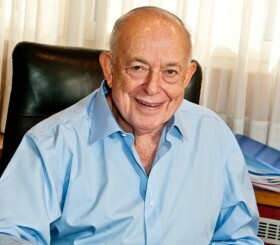 Polls indicate that the Israeli people are among the happiest in the world. Israel is also undergoing a pulsating Hebrew cultural renaissance; more Jewish youngsters are engaging in religious studies and their cultural heritage than at any time in our history. In addition, despite a critical media, today there is a greater consensus in Israel since the great divide over the disastrous Oslo Accords. Most Israelis wish to separate themselves from the Palestinians but feel that a Palestinian state under the current extremist leadership would be a terror state and would act as a beachhead for the Iranians. However, many hope that next year’s election will result in the creation of a much broader coalition so that small parties would no longer be able to extort the government. With assimilation and intermarriage having reached unprecedented levels in the Diaspora, we call on more fellow Jews in the Diaspora to join us to ensure Jewish continuity, produce Jewish grandchildren and enjoy a full Jewish life in their own homeland. Although we are an empowered people, we still face existential threats and must not become complacent. Situations may change overnight and we must continue strengthening our defenses to deter our enemies. But one would find it difficult to argue that our extraordinary good fortune since the miraculous rebirth of our state and becoming the greatest success story of the century can be attributed exclusively to coincidences and our efforts. We should thank the Almighty and pray that He ensures that the momentum is sustained. We should accept that what has happened is a miracle no less significant than the Exodus.